Wall lamps are often used for the necessary mood lighting. They are usually smaller lamps that hang on the wall and provide dimmed light. Do you need more light? Then you can use a hanging lamp or a standing lamp. These lamps hang or stand in the middle of the room and are able to spread more light. Since full light is usually only temporarily needed and you do not want to be in full light for an entire evening, it is nice to leave these lights out in the evening. Instead, you turn on the wall lights and you have a cozy mood lighting. Wall lighting is sufficient to sit in front of the TV in the evening or to receive a visit. 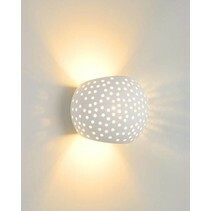 But wall lamps can also provide a certain appearance in a different way. This can be done by using a special design or using special material. 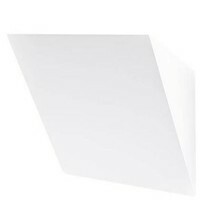 How about wall lights in plaster, for example? Gypsum is a material that everyone knows. Most people know plaster only through the plaster cast which is applied to bone fractures. Yet there are a variety of products that contain plaster without us being aware of it. And of course, gypsum is a popular material to work with in the art world. Plaster casts can easily be made. This also applies to wall lamps in plaster. Wall lights in plaster are available in every possible form. This is because in the production of plaster wall lamps almost every shape can be made into a mold. Then the plaster is poured into the mold and a unique wall lamp is created. 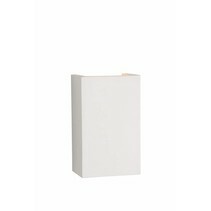 The possibilities concerning the design of wall lamps in gypsum are therefore greater than when using other materials. But with a wall lamp in plaster you can choose more than one special shape. 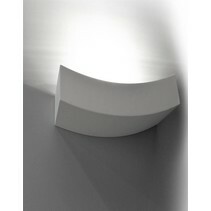 Gypsum wall lamps are in fact fully customizable to your own personal wall lamp in plaster. If you look at the range of wall lamps in plaster, you will notice one thing: all plaster lamps are pure white. This is not for nothing. Because these wall lamps in plaster are paintable. 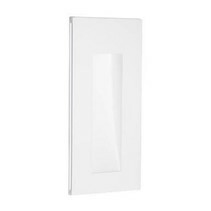 This way you can completely personalize your plaster wall lamps so that they fit seamlessly into your interior. The possibilities are unlimited. In the nursery you paint your wall lamp with cheerful motifs and in your living room in the colors of your interior. 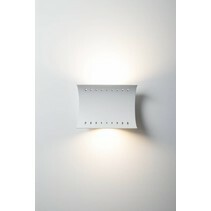 You can also leave the wall lamp white so that the wall lamp forms a nice contrast on a dark wall. 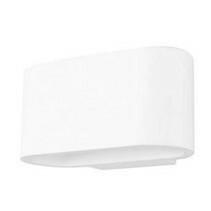 Why would you buy your plaster wall lights at My Planet LED? We are a service-oriented lighting shop and we deliver your order as well nationally as internationally. Our customers say we provide an excellent personalized service! The payment possibilities are versatile and secure! In addition, we are member of a quality mark which controlls if their members follow all the customer legislations. 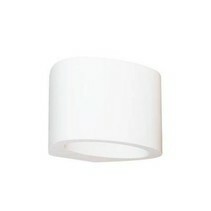 Do you hesitate about a plaster wall light? No problem! You can use our 14 days return policy. This allows you to see if it fits well. And of course, you can count on the excellent service of My Planet LED. 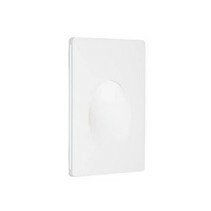 Unfortunately not all varieties of wall lights in plaster are available at My Planet LED. We keep you informed of the status of your order. After receiving your payment, we treat your order. 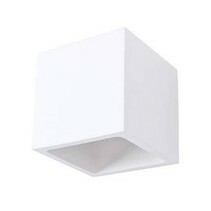 Once we receive the gypsum wall light, we will inform you of the delivery. Do you have more questions? Do not hesitate to mail us (info@myplanetled.com) or by phone (+32) 57 466 866 in order to obtain more information about wall lights in plaster.